The 95th Theses: Which points were condemned? It remains that, while Martin Luther did try to correct some corruption in some Church officials, he is a heretic. And as such, the doctrine of Lutheran churches and other protestant denominations teaches heresy. When Martin Luther nailed his 95th Theses to a church door, he was breaking from the Church that was founded on the apostles. Numerous heretics had emerged before, but, unfortunately, Martin Luther's errors remain. * Fear of death means imperfect charity and purgatory as punishment. * Penance (contrition, confession, and satisfaction) is untrue, unbiblical. * Contrition makes a person more of a sinner. * It is impossible to confess sins. * A priest cannot absolve your sins unless you believe he has. * A layperson can, if necessary, absolve your sins. 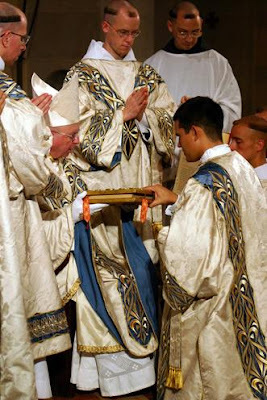 * A person does not need to show contrition to a priest. * Faith alone makes one worthy of the Eucharist. * A person must take both body and blood at communion. * The Church cannot grant indulgences. * Excommunications are not something to be feared. * The pope is not the vicar of Christ. * The Church has no right to decide upon faith or morals. * Weakening the Church's councils is desirable. * Good works are sins. * You cannot be certain when you are sinning. * We can have no effect on souls in purgatory, nor know anything about it. * The Church is greedy. Theologically the main differences between Luther's thought and the Church's teaching revolved around Sola Fide (Faith Alone). He did not accept the Church's authority and believed that all men could be saved simply through faith. Unfortunately for most people, I think Sola Fide is one of the least understood terms in all of theology. On the surface it seems like Luther is saying that all you have to do is believe that Christ is God and that he sacrificed himself for the sins of all humanity; if you believe this, then you are saved. When in fact if you analyze his thought carefully you will find that his main difference is not whether good works play a role in your salvation, but whether good works are a result of your salvation. He contends that a saved person will of course carry out good works and that these are the result of grace from God and not our own doing. So, in a nutshell: Luther believed that a person simply needed to honestly believe in Jesus to be saved, and that all of the other institutions, sacraments, traditions, etc. were unimportant compared to that. To me, the funny thing about this is that the Catholic Church probably agrees to a certain extent that faith is HUGELY important compared to the rest of it. And, that once you have true faith, following the Church is just a logical next step. I don't think there is a single Catholic out there that believes that he can go to Church each Sunday and go through the motions without honestly loving Jesus and expect to be saved. We don't just love Him, we ADORE Him, we love everything about Him and what He created. And He created this Church so we love our Church too and we follow her teachings. 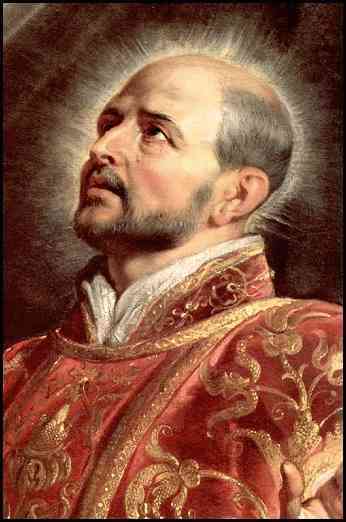 St. Ignatius of Loyola was born a Spaniard of a noble family at Loyola in 1491; he was the youngest of twelve children. He eventually joined the military in 1517 and served as a Captain until May 20, 1521, when a cannon ball fractured his left leg and nearly crippled him. Following this near-death experience, St. Ignatius of Loyola began to learn to read. And he began to read pious books, which en kindled a fire in his heart to love and serve Jesus Christ. The only books available to him during his recovery were The Golden Legend , a collection of lives of the saints, and the Life of Christ by Ludolph the Carthusian. In turn, he began to focus his life on Christ. St. Ignatius of Loyola traveled to Montserrat, where he hung up his arms before an altar of the Blessed Virgin Mary under the title of the Virgin of Montserrat and prayed the entire night. He was transformed from a man of war into a soldier for the Kingdom of God. And, St. Ignatius served Christ for many, many years and saved thousands of souls. He then left for Manresa and gave his noble garments to a beggar. 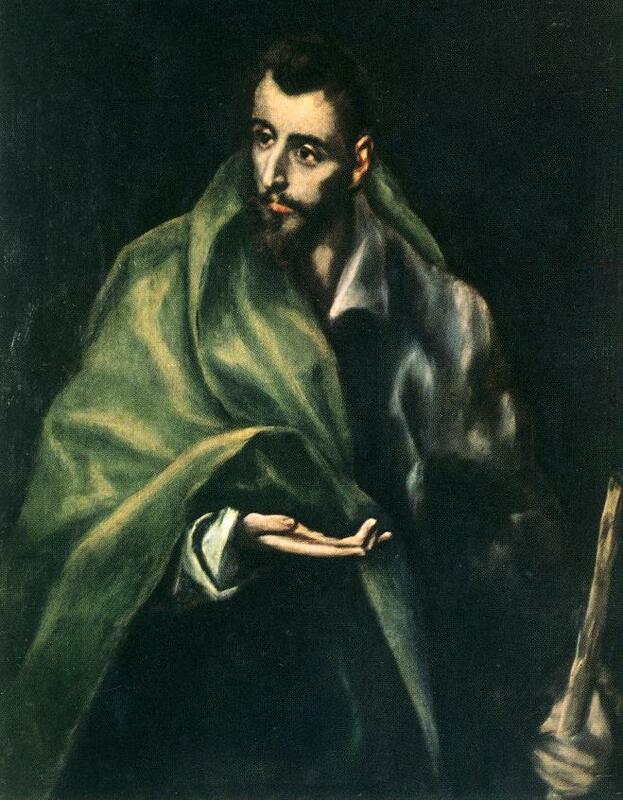 In a sackcloth, he stayed in Manresa in a cave and lived off of bread and water given to him as alms. He had turned away everything of the world and humbled himself to grow in holiness. St. Ignatius fasted everyday except Sundays. He also slept on the ground and himself with iron disciplines. He was a man of penance, who, during his time in Manresa, received revelations by the Lord. There, he wrote his Spiritual Exercises , even though he was man without formal education. St. Ignatius again humbled himself and realized that he needed formal education in order to save more souls. St. Ignatius began to study grammar with children. In 1523, he journeyed to the Holy Land to convert Muslims. And, through it all, his zeal to save souls never abated. He lived for the salvation of souls. St. Ignatius accept sufferings, beatings, imprisonment, and numerous other trials in order to save souls. In 1528 he began studying theology in Barcelona and Paris. On March 14, 1534, he received his degree in Theology. 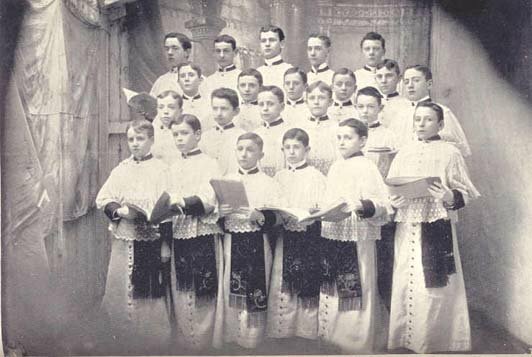 St. Ignatius was joined by nine men, who had taken their degrees in Arts and Theology. This was the foundation to the Society of Jesus (Jesuits), which St. Ignatius would establish soon after in Rome. On August 15, 1534, he formed the Constitutions of the Society of Jesus. He added along to the traditional vows of poverty, chastity, and obedience, a vow for missions. 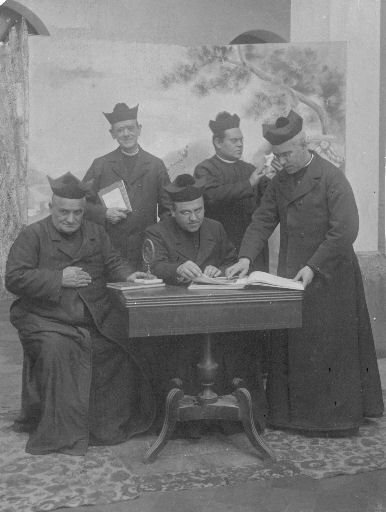 The Society of Jesus was approved by Pope Paul III in 1541 and again approved by following pontiffs and councils. St. Ignatius soon sent St. Francis Xavier to Indies to proclaim the Gospel. He sent people all around the entire world to preach the Truth and in so doing declared a new war - a war against paganism, superstition, and heresy. He never used the term "Jesuit" surprisingly. The term originated as an insult by his opponents, but today it is used with pride by the Society of Jesus. Throughout history, God has raised up saints and prophets in times of need. In those times when heretics rose up, God raised up defenders of the truth. And God rose up St. Ignatius of Loyola to preach the truth in an era that was tainted by the lies of Martin Luther and other heretics. St. Ignatius focused on piety. He wanted to spread piety throughout the entire earth. So, St. Ignatius worked to open schools for piety, increase the beauty of the sacred buildings, and increase the frequency of sermons and of the Sacraments. In Rome, St. Ignatius founded the German College, orphanages, and refuges for women of evil life and for young girls. St. Philip Neri and others saw St. Ignatius's countenance shining with heavenly light. Finally, after 65 years on earth, St. Ignatius of Loyola died on July 31, 1556. In less than 50 years, he along with his companion St. Francis Xavier, would be canonized. Today the Society of Jesus has over 500 universities and colleges, 30,000 members, and teach over 200,000 students each year. Source: The Liturgical Year, Abbot Gueranger O.S.B . O God, Who to spread the greater glory of Thy name, didst by means of blessed Ignatius, strengthen the Church militant with a new army: grant that with his help and through his example we may so fight on earth as to become worthy to be crowned with him in heaven. Through our Lord. What is Portiuncula? The following is an excerpt from Major Life of St. Francis by St. Bonaventure. 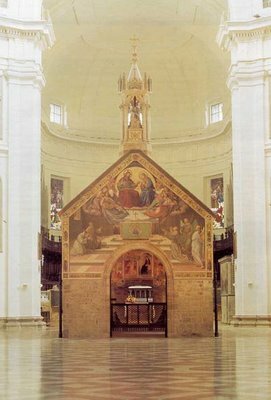 Today the chapel of Portiuncula is situated inside the Basilica of Saint Mary of the Angels roughly 5 km from Assisi, Italy. 3. Enter a parish church and, with a contrite heart, pray the Our Father, Apostles Creed, and a pray of his/her own choosing for the intentions of the Pope. Please tell every Catholic person you know that remission of the punishment for all sins committed from the day of baptism to the reception of the indulgence is available. If you want to read more about the feast of Portiuncula, please visit this website: Catholic Under the Hood. Fr. Seraphim Beshoner is a third order Franciscan priest who does the podcast, Catholic Under the Hood, and he recently discussed this feast on one of his shows. Please check it out and pass the word along to everyone. May the Merciful Jesus fill your heart with His gentle peace! Note: An indulgence is the remission of the temporal punishment due to sin. More information can be found at Indulgences. Please pray for this woman. Just like St. Gianna Molla, she is the example that all women should follow. 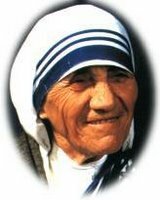 As Blessed Mother Teresa has said, abortion is never necessary because it is "pure killing". A prayer campaign has been launched for a mother in Argentina who was stricken with cancer but refused to have an abortion to spare her life. Laura Figeroa is in the terminal stage of her illness, a brain metastasis that is considered irreversible. Figeroa could have had an abortion so she could obtain chemotherapy to address her cancer, but she refused to take the life of her unborn child to save her own. Two weeks ago, Figeroa gave birth to her son, Pedro, who was born early at 27 weeks into the pregnancy. Pedro weighed just 2.4 pounds and was immediately placed in intensive care and struggles with kidney and heart problems. Now the Catholic weekly “Cristo Hoy” in Argentina is launching a prayer campaign for mother and child. The Church desperately NEEDS nuns (those that live in cloistered communities) and religious sisters (those that don't live in cloistered communities). Religious sisters are excellent teachers and help the Church tremendously not only in teaching but in making altar bread and various other areas. The sacrifice of prayer of nuns certainly brings us many graces. Though billions of dollars have been salted away, there still remains an unfunded future liability of $8.7 billion for current nuns, priests and brothers in religious orders. The financial hole is projected by a consulting firm to exceed $20 billion by 2023. In some ways, religious orders face the same problem as many governments: increasing numbers of older retirees need benefits, but there are fewer workers to support them. America's younger workers pay now for the Social Security benefits of seniors, while younger religious support their older generations by caring for them. Sisters, who make up 82 percent of retirees, are especially vulnerable. 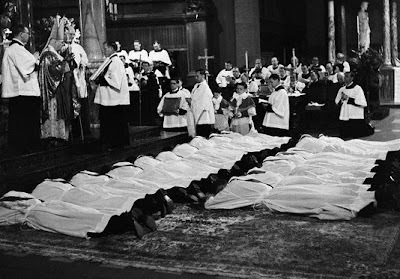 Between 1965 and 2005, their numbers plummeted from 179,954 to 68,634, according to the Center for Applied Research in the Apostolate at Georgetown University. With far fewer younger novices being recruited, the majority of sisters are now more than 70 years old, the retirement office's new survey said. Even though sisters usually work until age 75, caring for the retired population is a huge task. Some religious orders are financially healthy, but Fries' office reckons that only 4 percent of current sisters are adequately funded for their retirement needs. Typically, the problem is worst in smaller orders. Religious orders are totally independent from dioceses in administration and finance. But they often serve in schools and other parish or diocesan institutions, so bishops and parishioners naturally feel a responsibility to help. The religious orders' plight first gained national attention with a 1985 Wall Street Journal article by John Fialka. Contacted by fellow Catholics who offered donations, Fialka helped organize SOAR (Support Our Aging Religious), which pioneered in fundraising and last year received $1.4 million to aid retirees. The U.S. bishops then followed suit, sponsoring their first annual collection in 1988 under the new retirement office, co-sponsored with three organizations of women's and men's orders. 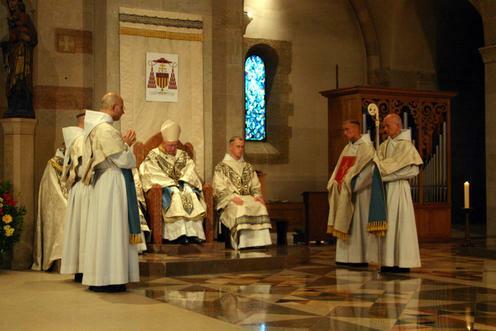 The annual December collection was scheduled to cease next year, but at their June meeting the bishops agreed to extend the program another 10 years. Also, the retirement office plans to increase training for orders on how to manage investments, buildings and other assets. If you are considering a vocation as a nun or as a religious sister, please pray about it. We desperately need you! Please pray for vocations. 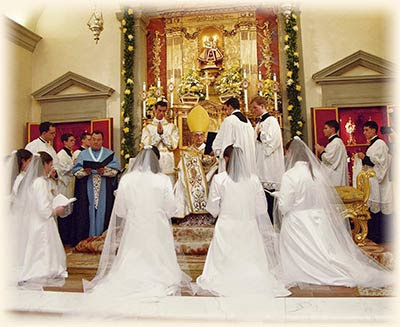 And, pray for traditional vocations - people that will actually wear a real habit and remain faithful to Rome. In addition, please see my well known post entitled "Nuns Should Wear the Habit." 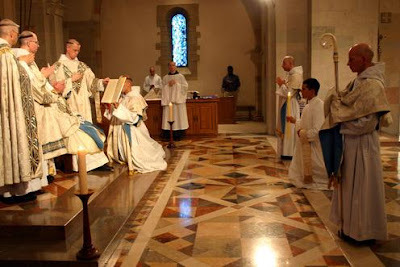 Here are images from the ordinations this month in June 2006 at the Abbey of Le Barroux (France). "We need to be someone for the naked who not only lack clothing but mercy." "We need to be someone for the destitute who not only lack a roof over their heads, but who are deprived of having someone who cares, someone to belong to." However, there is a much longer version. This Original Prayer was taken from The Raccolta, 1930, Benzinger Bros., pp. 314-315. The Raccolta is an imprimatured collection of the official and indulgenced prayers of the Catholic Church. 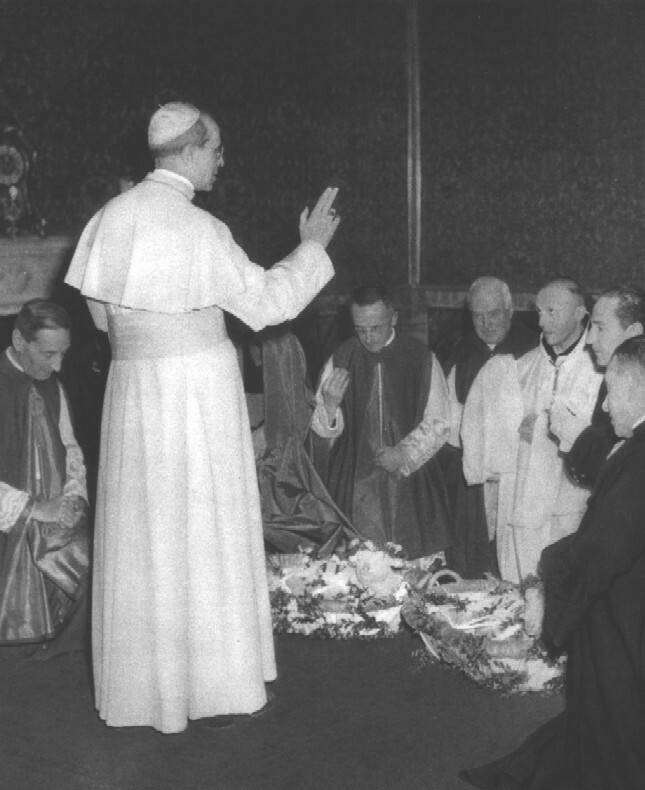 One day after Mass and in a Conference with the Cardinals, Pope Leo XIII (1878-1903) fell down and received a vision of hell. Physicians ran to him to find no pulse; they feared that he had died. Yet, he opened his eyes only a few minutes later and screamed, "Oh what a horrible picture I was permitted to see!" In his visions, legions of devils flew from the depths of hell to cause destruction to the Church and damn souls. Suddenly St. Michael the Archangel appeared and fought the devils back into the abyss of hell. 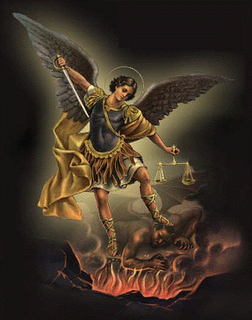 Following this, Pope Leo XIII created a prayer in honor of St. Michael. PSALM 67: God arises, His enemies are scattered and those who hate Him flee before Him. As smoke is driven away, so are they driven; as wax melts before the fire, so the wicked perish at the presence of God. Thus, cursed dragon, and you, diabolical legions, we adjure you by the living God, + by the true God, + by the holy God, + by the God "who so loved the world that He gave up His only Son, that every soul believing in Him might not perish but have life everlasting" (St. John, III); stop deceiving human creatures and pouring out to them the poison of eternal damnation; stop harming the Church and hindering her liberty. Begone, Satan, inventor and master of all deceit, enemy of man’s salvation. Give place to Christ in whom you have found none of your works; give place to the One, Holy, Catholic and Apostolic Church acquired by Christ at the price of His Blood. Stoop beneath the all-powerful Hand of God; tremble and flee when we invoke the Holy and terrible Name of Jesus, this Name which causes hell to tremble, this Name to which the Virtues, Powers and Dominations of Heaven are humbly submissive, this Name which the Cherubim and Seraphim praise unceasingly repeating: Holy, Holy, Holy is the Lord, the God of Armies. Let us pray. God of Heaven, God of earth, God of Angels, God of Archangels, God of Patriarchs, God of Prophets, God of Apostles, God of Martyrs, God of Confessors, God of Virgins, God who has power to give life after death and rest after work, because there is no other God than Thee and there can be no other, for Thou art the Creator of all things, visible and invisible, of whose reign there shall be no end, we humbly prostrate ourselves before Thy glorious Majesty and we beseech Thee to deliver us by Thy power from all the tyranny of the infernal spirits, from their snares, their lies and their furious wickedness; deign, O Lord, to grant us Thy powerful protection and to keep us safe and sound. We beseech Thee through Jesus Christ Our Lord. Amen. 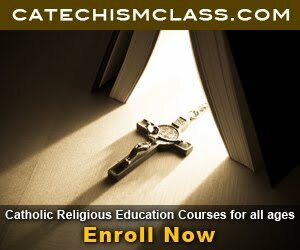 Protestants, Looking for Information on Catholicism? Today is the Memorial of St. Martha, virgin. She was the sister of Mary of Bethany (Mary Magdalene) and Lazarus. Jesus stayed in the house of Marthra, Mary and, Lazarus, his friends at Bethany when he was in Judea. Their house was 2 miles from Jerusalem. We read of three visits in Luke 10:38-42, John 11:1-53, and John 12:1-9. St. Martha is remembered for the kindness and hospitality she showed to Jesus Christ when He visited her. In Luke 10:23-42, Jesus reminds Martha that the most important thing is to listen to Him! She is busy serving Our Lord while Mary is contemplating. Jesus says, “Martha, Martha, you are anxious and worried about many things. There is need of only one thing. Mary has chosen the better part and it will not be taken from her” (Luke 10:38-42). Through Martha's example, we learn how importantlistening to God is. Serving God is extremely important, but it shouldn't take away from praying and contemplating. Prayer must be first! St. John writes one thing of Martha when Jesus came there later to share a meal with the three: "Martha served." Remember that Jesus said the least will be the greatest. We should seek not to be in charge and control; but rather, we should seek to serve others. For through serving others, we serve Jesus Christ Himself. According to a legend, After Our Lord's Ascension into Heaven, Martha, her brother and sister, Marcella her handmaid, and Maximin, one of the seventy two disciples of our Lord, and other Christians were placed on a boat without sails or oars. They were left for dead but God guided the boat to Marseilles. It was their preaching and the miracle that converted many of the people of Marseilles and Aix to believe in Jesus. Lazarus was made Bishop of Marseilles and Maximin of Aix. 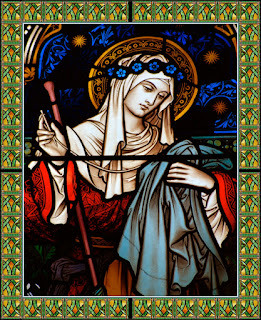 St. Martha withdrew from the group along with several women. They lived in a remote area without men in a spirit of purity. St. Martha foretold her death years in c. 80 AD before it ever occurred. Her body lies at Tarascon, and it is still venerated today. Hear us, O God, our Savior: and as we rejoice in the feast of blessed Martha, Thy Virgin, so we may learn a filial devotion to Thee. Through our Lord. "St. Martha, I resort to thy protection and aid and as a proof of my affection and faith I offer this light which I shall burn every Tuesday. Comfort me in all my difficulties and through the great favor thou didst enjoy when the Savior was lodged in thy house,. Intercede for my family that we may always hold God in our hearts, and that we may be provided for in all our necessities, I ask, St. Martha, to overcome all difficulties as thou didst overcome the dragon at thy feet." As a Novena, this may be said for nine Tuesdays with the Our Father, Hail Mary, and Glory be. This week I have posted very little because I was a teacher at vacation Bible school at a nearby parish, and I was busy most of the day teaching. The Bible School is a joint project between the Catholic Church and the nearby Presbyterian Church. So, I thought both Catholics and Presbyterians. I taught 1st through 4th grades. And, it was a lot of fun. Monday we talked about Ruth and being loyal. Tuesday was about King David and being true to oneself. Wednesday we focused on Queen Esther and Pope John Paul ll, and we talked about being brave. I really made sure I talked about Pope John Paul ll so the Presbyterian children would know about him. One little girl said that he was Jewish... I'm just so glad that I was there to help them in the truth. Thursday we talked about the four fisherman that became disciples. And today I had to act out St. Paul's conversion on the Road to Damascus. We talked about being changed, and I talked most of the class about how Jesus turned the violence he endured into a Resurrection and victory. I wanted the children to know that the Cross wasn't the only thing that He endured. I wanted them to know about the Garden of Gethsemane, the Scourging, the Carrying of the Cross, etc. And, overall, I really think they learned a lot. I'm so glad to have helped make a difference. And, I can tell you that it is so easy to talk with children. They don't result to insulting language. They are not like anyone that I talked with online. Why? Because their minds are open! They want to seek and follow God. And, that's what I'm so happy about. They are just so ready to learn and follow God. They do through Bible verses at me that are twisted or interpreted incorrectly. They are ready for God. Brother John Raymond - Community of the Monks of Adoration 12/12/93: "Many people complain of distractions during prayer. One must not think that this is only a problem for people of today. Shakespeare writes the following for one of the characters in his plays: My words rise up, My thoughts remain below. Words without thoughts seldom to Heaven go. What is a distraction? Let me describe some. 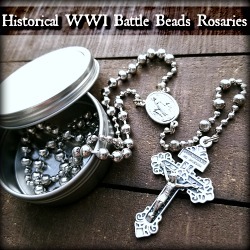 I start praying perhaps by meditating on a Mystery of the Rosary. I am thinking about the Presentation in the Temple while praying the Hail Mary when all of a sudden I am thinking about a baseball game, what's for lunch or what I'm going to do the next day. Now if I did not mean to think these distracting thoughts then my prayer has not been in vain. Remember that prayer is not an intellectual exercise but a conversation or a desire for a relationship with God. Still, many people would like to have less distractions during prayer. Here are some suggestions that might help. When you realize during prayer that you are no longer in the Presence of God but have wandered somewhere else then throw the distraction out. But one must do this gently and not with violence. A violent return to prayer can be a bigger distraction than what one is trying to throw out. The spiritual writers of old used to advise that one simply brushed distractions away as if they were annoying flies. This is a good analogy for the problem. I know that when I am talking to someone and a fly takes a great interest in me I am only momentarily distracted from the conversation. But let a bee instead of a fly landed on me and we have a totally different story. The conversation with the other person would be abruptly stopped while I tried to avoid being stung. My total concentration would be on the bee and not on the person I was talking to for some time. So treat distractions lightly and don't worry about them. Another technique to overcome annoying distractions is to make them part of one's prayer. For instance I remember once while praying the Rosary being distracted by thoughts of my sick cousin. Instead of throwing this out I began to pray for my cousin. Even a distraction as unrelated as a baseball game still involves people who could use one's prayers. Mention these people to Jesus and ask Him to help them. Jesus told Sister Mary of the Holy Trinity, a Poor Clare, concerning distractions to "use them by praying for what is presented to you." Health and environment do effect the number of distractions one has during prayer. Being sleepy or tired causes the mind to wander much more easily. Other factors such as not eating properly, tension, worries, etc. can lead to a very distracting time. I remember being told once to pray now while one is healthy because it is almost impossible to do so when you are sick. A bad headache can make just thinking, let alone praying, a very challenging task. If possible try to minimize these problems. If you can't then pray about them or pray for the grace to pray with them. In passing I must say that our present world environment is not conducive to prayer. Our minds are overwhelmed with images from the television, sounds from the radio, horror stories from the newspapers, etc. The media feeds our minds with many thoughts for distraction during prayer. These things whether we like it or not become impressed upon our minds. They make it difficult for one to raise one's mind to God." St. Therese of Avila, a Doctor of the Church called the Doctor of prayer, taught that most of the problem one has during prayer is related to what one does when one begins to pray. She really emphasizes the importance of beginning prayer by placing oneself in the Presence of God. Another term for this recollection. This fancy term means nothing more than collecting your thoughts. Give yourself time to settle down to prayer. Breathe deeply, find the best position, forget about what you were doing a few minutes before, etc. Don't begin your prayer already distracted. In whatever way is best for you, maybe a picture of Jesus, imagining Him before you or by another method place Him before you. There is a Saint to pray to for help in this area. 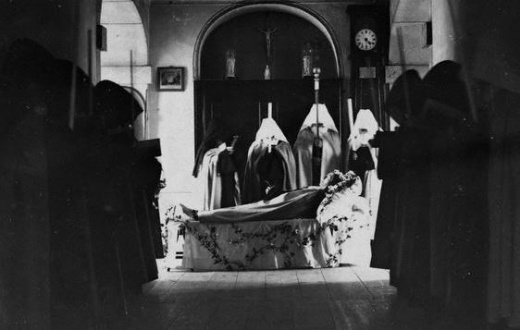 The French Carmelite nun Blessed Elizabeth of the Trinity said before she died that when she was in Heaven she would help people to be recollected. Finally, consider praying out loud when distractions are really bad - if you are alone. This technique is especially helpful while doing what is called "conversational prayer," that is talking to God. By praying out loud at least if you get so distracted - and stop praying - you'll notice it!" 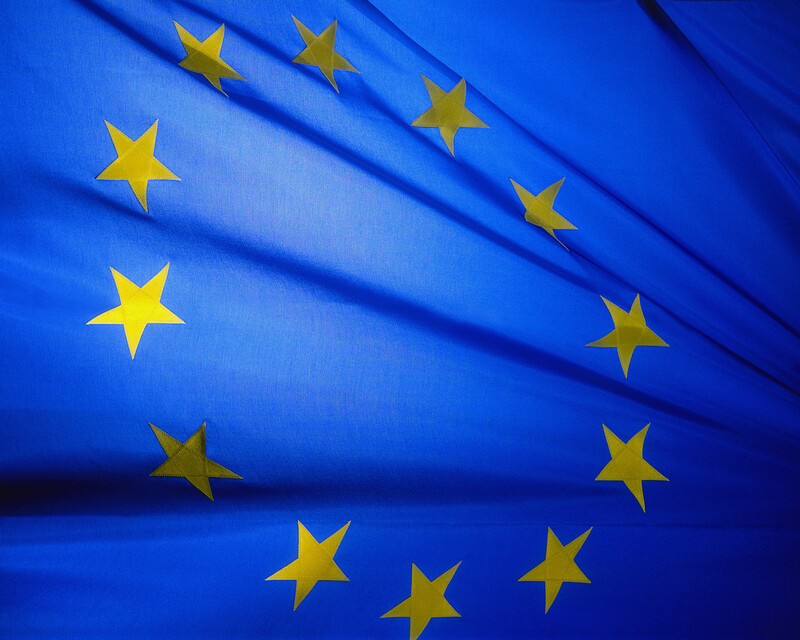 There has been a lot of talk during the past few weeks concerning the European Union forcing its member states to fund embryonic stem cell research. Remember, that this research destroys embryos and has proven useless. Well, Monday, July 24, 2006, the European Union made a compromise that the Catholic Church is upset about still. Now, "The Monday vote would make sure that the EU does not directly pay for embryonic stem cell research but member nations would be free to use EU science funds they receive to pay for it in their own countries." In its Wednesday issue, the L'Osservatore Romano condemned the effort to find a compromise between funding the research, which involves the destruction of days-old unborn children, and pro-life concerns about taking human life. The paper said the EU is condoning "a macabre illicit trade." Expanding on the Vatican's response to the vote, Bishop Elio Sgreccia, head of the Pontifical Academy for Life, told Vatican Radio that the vote violated a "primordial right" to life and authorized "the use of a human being on the basis of 'I kill you in order to gain benefits for others.'" "To not be opposed to research that is destructive and inherently violent" is "an act of serious inconsistency," he said. The compromise means that some money from the EU's $65 billion science budget will fund some embryonic stem cell research over the 2007-2013 period that it covers. But it also includes consessions to nations oppose to embryonic stem cell research that the funding would not go to pay for destroying human embryos but rather for research on existing embryonic stem cells or on research conducted after the destruction of human life has taken place. A coalition of nations, led by Germany, had been working to block any funding for embryonic stem cell research and appeared to be on the verge of winning the debate. However, Finland, which holds the EU presidency this year, proposed the compromise and Slovenia, one of the members of the coalition, reversed its position and supported it. O God, Thou didst raise Thy servant, N., to the sacred priesthood of Jesus Christ, according to the Order of Melchisedech, giving him the sublime power to offer the Eternal Sacrifice, to bring the Body and Blood of Thy Son Jesus Christ down upon the altar, and to absolve the sins of men in Thine own Holy Name. We beseech Thee to reward his faithfulness and to forget his faults, admitting him speedily into Thy Holy Presence, there to enjoy forever the recompense of his labors. This we ask through Jesus Christ Thy Son, our Lord. Amen. I ask you to please pray for Monsignor DeBlanc, who recently died at the age of 91. 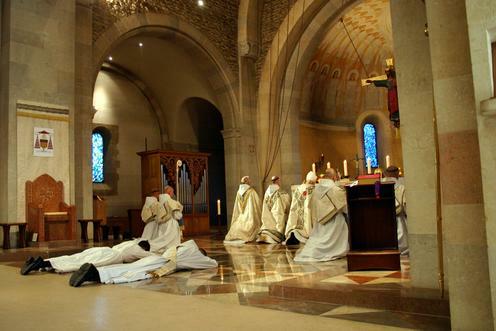 Please also pray for these priests who have died: Fr. 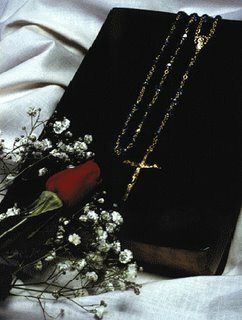 Andrea Santore (murdered in 2006), Fr. McKenna, Fr. Reitmeyer, Fr. Eusebio Ferrao (murdered in 2006), and Bishop Luigi Locati (murdered in 2005). Sts. Joachim and Anne are the parents of Mary, the Mother of Our Savior, Jesus Christ. They were privileged to be the grandparents of Jesus Christ. So, as the Church remembers Sts. Joachim and Anne today, Holy Mother Church also remember Mary. What we know about Mary's parents, Joachim and Anne, come from Protoevangelium Jacobi (The Gospel of James). 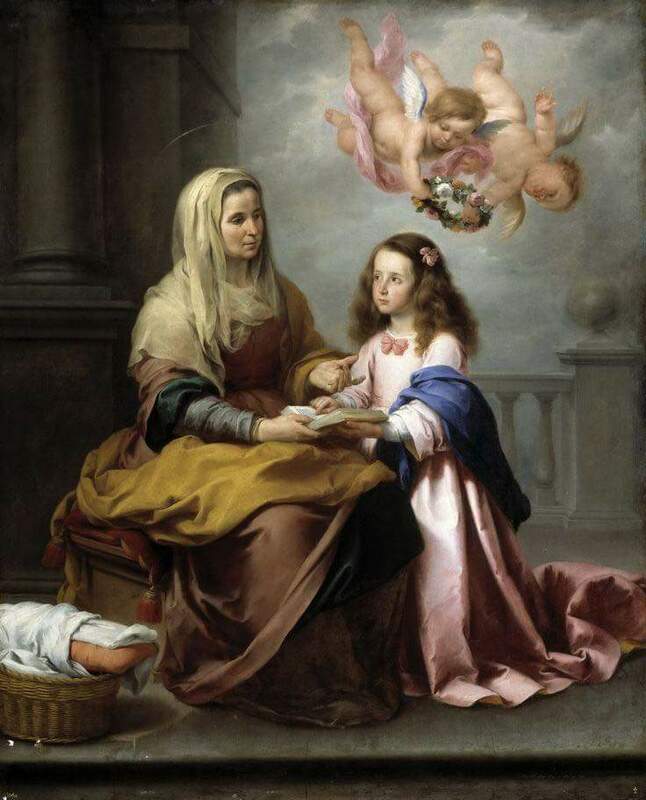 It is not part of the Bible, but the document, which was written c. 170 AD gives insight into the life of Mary and her parents. Joachim was a prominent and respected man, however, he had no children, and he viewed this as a punishment from God. In an answer to his prayers, he and Anne, his wife, were given the daughter Mary, who was conceived without sin. She remained sinless, ever-virgin, and was the Mother of God. Their prayers were answered greater than they could have ever imagined! There is a great Shrine to St. Anne in Canada - Ste. Anne de Beaupre . It is a site of constant miracles. Cripples have entered the Shrine on crutches and left by walking through the door because they were completely healed. Another Shrine is Ste. Anne d'Auray in Britanny, France. There is also a church of St. Anne in Jerusalem, and the church is believed to have been built on the location where Sts. Joachim and Anne lived. In the Protoevangelium of James , St. Joachim is described as a rich and pious man of the house of David who regularly gave to the poor and to the temple. However, as his wife was barren, the high priest rejected Joachim and his sacrifice, as his wife's childlessness was interpreted as a sign of divine displeasure. Joachim consequently withdrew to the desert where he fasted and did penance for forty days. Angels then appeared to both Joachim and Anne to promise them a child. Joachim later returned to Jerusalem and embraced Anne at the city gate. The cycle of legends concerning Joachim and Anne were included in the Golden Legend and remained popular in Christian art until the Council of Trent restricted the depiction of apocryphal events. No liturgical celebration of Saint Joachim was included in the Tridentine Calendar . It was added to the General Roman Calendar in 1584, for celebration on March 20, the day after the feast day of Saint Joseph. In 1738, it was transferred to the Sunday after the Octave of the Assumption of Mary. As part of his effort to allow the liturgy of Sundays to be celebrated, Pope Pius X transferred it to August 16, the day after the Assumption, so that Joachim may be remembered in the celebration of Mary's triumph. It was then celebrated as a Double of the 2nd Class, a rank that was changed in 1960 to that of 2nd Class Feast. Anne: against poverty; barren; broommakers; cabinetmakers; carpenters; childless couples; equestrians; grandmothers; grandparents; homemakers; housewives; lace makers; lace workers; lost articles; miners; mothers; old-clothes dealers; poverty; pregnancy; pregnant women; horse riders; seamstresses; stablemen; sterility; turners; women in labour; Brittany; Canada; France; Quebec; archdiocese of Detroit, Michigan; diocese of Norwich, Connecticut; Santa Ana Indian Pueblo; Taos, New Mexico. O God, Who didst vouchsafe to bestow upon blessed Anne such grace, that she was found worthy to become the mother of her who brought forth Thine only-begotten Son: mercifully grant that we who celebrate her festival, may be helped by her intercession with Thee. Through our Lord. O God, Who of all Thy Saints didst choose the blessed Joachim to be father to the Mother of Thy Son: grant, we beseech Thee that we who honor his festival, may evermore experience his patronage. Through the same our Lord. Hello, everyone! Blessings and peace in the Name of Jesus Christ, the Risen Lord! 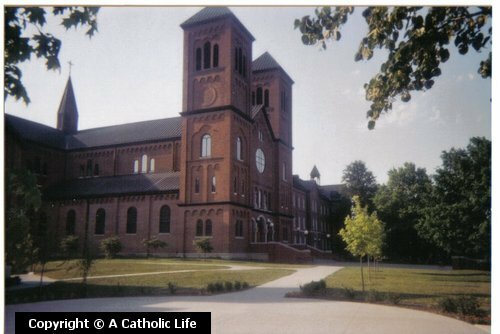 Last week I returned from visiting Conception College Seminary in Missouri, USA. I enjoyed spending time with the Benedictine monks and visiting the minor basilica. Overall, during my visit I've realize how important prayer truly is, even though I am not completely supportive of some of the aspects of the seminary there. While there, I purchased a copy of Christian Prayer , which contains the complete Liturgy of the Hours. I have been praying the Liturgy of the Hours at Lauds (morning), Vespers (evening), and Compline (night) ever since I left the monastery. While at the monastery, I prayed with the monks at Lauds, daytime prayer, Mass, Vespers, and Compline. It was so beautiful to hear them chanting the Liturgy, equating to the best part of my experience there. And, it was so wonderful to see men in full habit walking around and bearing witness to the Faith of the Universal Church. Today we celebrate the Feastday of St. James. He is called St. James the Greater in order to distinguish him from the other St. James, who was the author of the Epistle of St. James and another disciple of Our Lord. He is called "the Greater" simply because he became a disciple before the other James. According to some historians and legends, St. James the Greater may have been a cousin to Jesus. However, it is certain that St. James the Greater, who we remember today, was the brother of John and son of Zebedee. James, John, Peter, and Andrew were all fishermen in Bethsaida, on the north shore of the Sea of Galilee. Our Lord called to Simon Peter and Andrew and said, "Come after Me and I will make you fishers of men" (Mt. 4:19). And, then Our Lord turned to James the Greater and his brother John, and both of them instantly left their nets and followed Our Lord. Crucial Stem Cell Research Update! Want to learn more on the New Age Movement? 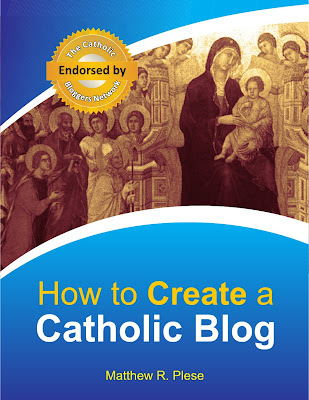 Will all Catholics be Saved? 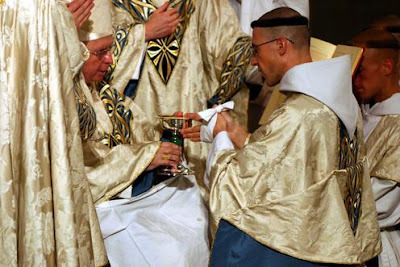 Pope Benedict XVI uses the Holy Grail! Should women be Ordained as Priests? What's Wrong with Martin Luther?